1931: Derham Giuliani, co-founder of Universal Pantheist Society (UPS) was born. 1975: The Universal Pantheist Society was founded by Harold Wood and Derham Giuliani. 1996: Paul Harrison resigned from his position as Vice President of UPS and began the World Pantheist Movement (WPM). Pantheism has an ancient history. Contemporary representations of Pantheism are inspired by Greek philosophy, the work of Baruch Spinoza (who argued that body and spirit are one), elements of Hindu philosophy, mystical Sufism, kabbalah, the literature of Thoreau, Emerson, and Whitman (among others), and many other philosophical and spiritual sources (Taylor 2010:8) . The word “pantheism” is constructed from the Greek words pan (meaning all) and theos (meaning god). Origination of the English word is generally credited to John Toland (Harrison n.d.). Pantheism separates itself from religious traditions that postulate a transcendent, personal God. Rather, in Pantheism it is the natural universe itself is divine, sacred, and the object of ultimate respect. Put another way, in the Pantheist worldview, the universe is synonymous with God: the universe is God and God is the universe. By this logic, everything in the universe is one, part of a greater whole (Harrison 2011:1; Garrett 1997; Mander 2013). The pantheist world view therefore leads naturally to both religious tolerance (a diverse array of approaches may lead to an understanding of God/the universe) and a valuing of science (one systematic way of understanding God/the universe. Indeed, Pantheism might be regarded as religious or a non-religiously based philosophy. Other than a few foundational premises, on which there are numerous variations, there is no clearly defined doctrine or code to which practitioners of Pantheism adhere (Quirk 2001). In addition, Pantheistic belief and practice is highly individual in nature.. The Universal Pantheist Society attracted people convinced that environmental ethics depended upon “a new recognition of the sacredness of the natural world.” In a sense this neopantheism was a response to the criticism Lynn White leveled at Judeo-Christianity for its desacralization of nature. On the institutional level, Zen Buddhism continued to grow as an American religion, particularly on the West Coast where Zen Centers of Los Angeles and San Francisco instructed growing numbers in alternatives to Christianity’s conception of nature. It seems more a search for guidance than prayer or petition. One is not a separate entity thrust onto the world to cope, but is an integral part of the whole, containing the same grandeur, power, Mystery as that whole. Most problems come out of mental strictures from the narrow route of one’s immediate life & growth. Letting in some direct awarenesses from the total world arouses new intuitions & considerations. Seeing oneself as part of a vaster scale, recognizing (and in fact feeling with empathy) the similarity one’s actions have with the rest of the natural world, takes the load off of one’s shoulders, broadens out the value judgments, changes desires & goals, points the way toward one’s path as well as what to avoid or let go, gives insights into one’s inner & outer self and glimpses into one’s deepest motivations, brings to mind what is truly meaningful to you. Direct answers don’t appear magically, one’s behavior subtely (sic) changes so that one walks in a slightly different orientation giving rise to increasingly new encounters, insights, and views of the patterns that tie everything together. Giuliani died in 2010 (“Obituary of Derham Giuliani” 2010). UPS states that its faith is in the Universe itself, which can be understood as either or a theistic or non-theistic belief system as the Universe is divine. According to UPS, “Humanity’s unity with the Universe is our fundamental religious impulse” (Universal Pantheist Society n.d.). The Universal Pantheist Society website, “Pantheist Net,” states that its goal is “to unite Pantheists everywhere into a common fellowship, to undertake the conveyance of information about Pantheism to the interested public, to encourage discussion and communication among Pantheists, to provide mutual aid and defense of Pantheists everywhere, to stimulate a revision of social attitudes away from anthropocentrism and toward reverence for the Earth and a vision of the ultimate context for human existence, and to take appropriate action toward the protection and restoration of the Earth” (Universal Pantheist Society, n.d.). The Pantheist tradition emphasizes living ethically, nurturing and preserving the earth and all of its inhabitants, and recognizing the need for protecting the environment. By extension of this logic, Pantheists reject anthropocentrism, which elevates the status of humans, asserting instead unifying humans and nature. As stated in the UPS “Sacerdotal and Ceremonial Policy,” there are no priests, fixed rituals, or established ceremonial practices (Universal Pantheist Society, n.d.). There are, however, three ways in which it is suggested that Universal Pantheists practice unity with the universe: Knowing, devotion, and works. “Knowing” is attained by studying nature in any way that an individual deems appropriate. “Devotion” can be achieved in many ways and generally consists of being outdoors, connecting with one’s environment, or simply being aware and conscious of one’s surroundings. Lastly, “works” are described as living ethically. Universal Pantheists are in opposition of overconsumption and therefore promote a more natural way of living that encourages harmony between humans and nature. Many Pantheists take personal responsibility for maintaining an ethical lifestyle. This may include practices such as recycling, composting, lowering one’s energy usage, and promoting balance within the biosphere in general. An ethical diet low in processed foods is also suggested, although not a requirement. It is important to note that none of these practices are required given the individualistic stance of Pantheism. They are merely suggestions for individual practice in order to maintain unity with the Universe. According to the Universal Pantheist Society website, Pantheist Net, there are over 100 Pantheist holidays that may be celebrated. These include equinoxes, solstices, and birthdays of spiritual leaders, philosophers, social activists, and naturalists, among other secular holidays. Pantheist bylaws do not require members to adhere to any specific creed or doctrine. Individuals may, however, choose to apply for membership to the Universal Pantheist Society by submitting an application (found online) and membership dues (which are minimal and voluntary). Fellowship among Pantheists is not required and there is no central physical location where Pantheists gather to celebrate their faith. Instead, fellowship is facilitated through an online community provided by the Universal Pantheist Society ( Pantheist Net Forum n.d.) . Individuals may form groups and discussion forums in which to discuss their views and share knowledge. Areas of interest for groups include, but are not limited to, animal rights, Eastern Philosophy, the cosmos, responsible consumerism, and Paganism. In order to join the online Pantheist community, a short form must be completed online, describing what it means to be a Pantheist for the individual, what they can offer the community (talents, strengths, etc. ), and a personal description of books one enjoys and aspects of nature that are personally important. The Universal Pantheist Society encourages individual expression of faith. Therefore, a very loose organization is maintained to allow for maximum personal freedom. UPS is governed by bylaws established in 1975, which have since been amended twice. Affairs within the society are handled by a Board of Directors consisting of a President, Vice President, Treasurer, and Secretary who are elected by the previous board (Universal Pantheist Society, n.d.). Other than the Board of Directors, there are no spiritual of organizational authorities. The Universal Pantheist Society is recognized by the U.S. Internal Revenue Service as a 501(c) (3) non-profit organization) that was founded in order to “communicate an informed, modern Pantheism, and to provide for sharing among Pantheists” (Universal Pantheist Society, n.d.). One organizational challenge that the Universal Pantheist Society has faced is its loose structure. UPS has eschewed clearly defined rules and regulations, other than its perfunctory bylaws. This loose organizational structure allows for maximum inclusivity and individual freedom, on the one hand, and potential absence of organizational coherence, on the other hand. Universal Pantheist Society remains a viable spiritual alternative for many members of modern society who have a preference for limited organizational commitment. UPS has also faced a limited schismatic challenge. 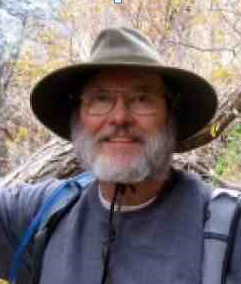 In 1998, member and then Vice President Paul Harrison, resigned from his position with UPS and founded a separate organization, the World Pantheist Movement (which originated as the Society for Scientific Pantheism), that emphasized scientific and natural Pantheism (Stone 2009:10-11). 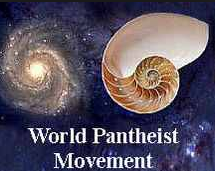 The World Pantheist Movement (WPM) claims to be the largest existing organizational expression of Pantheism. This movement has sought more organization and mobilization of Pantheists. 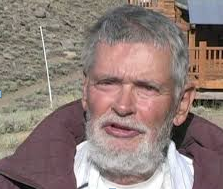 As founder Paul Harrison stated (2011:95), “The ultimate aim of organizing Pantheism on an equal footing with every other organized religion and spiritual approach, in terms of public information, local meetings, and people’s right to have weddings and funerals in accordance with their beliefs.” Its goals include establishing a network of groups that together promote Pantheist thought and membership. WPM also has a more detailed organizational credo than UPS, although it remains committed to personal freedom and individual exploration of spirituality. WPM seeks to more clearly articulate the way in which rituals, such as marriages, funerals, are performed so as to more clearly reflect Pantheist beliefs (Harrison 2008). The more organized expression of Pantheism is intended to increase the visibility and societal recognition of Pantheism. Garrett, Jan. 1997. “An Introduction to Pantheism.” Accessed from http://people.wku.edu/jan.garrett/panthesm.htm on 7 March 2015. Harrison, Paul. 2011. Elements of Pantheism, 2 nd edition. Plantation, FL: Llumina Press. Harrison, Paul. 1996. “Toland: The Father of Modern Pantheism.” Accessed from http://www.pantheism.net/paul/history/toland.htm on 6 March 2015. Mander, William. 2013. “Pantheism.” The Stanford Encyclopedia of Philosophy. 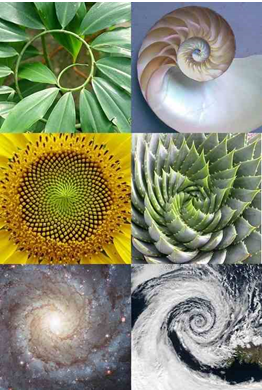 Accessed from http://plato.stanford.edu/archives/sum2013/entries/pantheism/ on 7 May 2014. “Obituary of Derham Giuliani.” 2010. The Inyo Register, September 22. Accessed from http://www.inyoregister.com/node/713 on May 7, 2014. Pantheist Net Forum. n.d. Accessed from http://groups.yahoo.com/group/Universal-Pantheists/ on 6 March 2015.
http://www.paxdoraunlimited.com/PantheistAge_ModernPantheism on 7 March 2015. Stone, Jerome. 2009. Religious Naturalism Today: The Rebirth of a Forgotten Alternative. Albany: State University of New York Press. Taylor, Bron. 2010. Dark Green Religion: Nature Spirituality and the Planetary Future. Berkeley: University of California Press. Universal Pantheist Society. 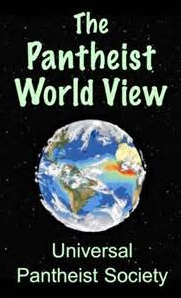 n.d. “The Pantheist World View.” Accessed from http://www.pantheist.net/the-pantheist-world-view.html on 7 May 2014. Universal Pantheist Society. n.d. “Universal Pantheist Society.” Accessed from http://www.pantheist.net/ on May 7, 2014. Wood, Harold. 1985. “Modern Pantheism as an Approach to Environmental Ethics.” Environmental Ethics 7:151-63. Wood, Harold. n.d. “Derham and the Universal Pantheist Society.” Accessed from http://www.wmrc.edu/news/derham-giuliani/universal-pantheist-society.html on 6 March 2015.